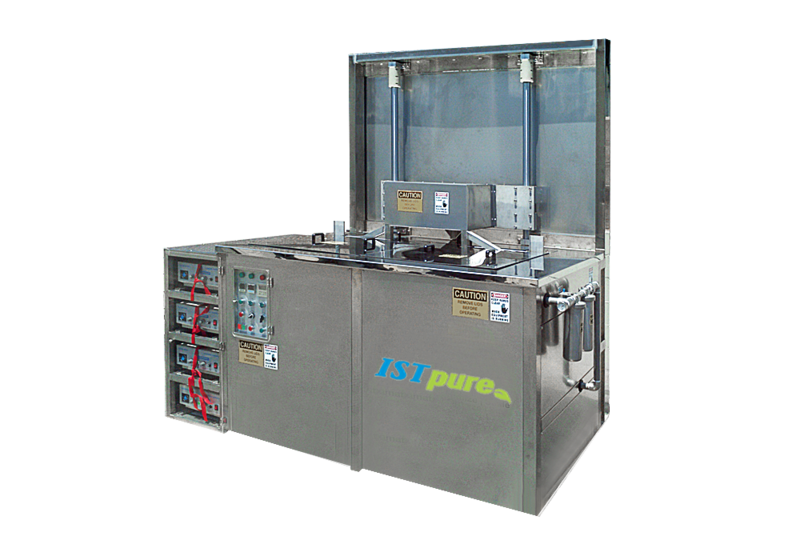 UC 6030LT Industrial Ultrasonic Washer is a robust station designed to wash and restore medium-to-large-sized parts. Washer has two large 100-gallon tanks for up-to 2 processes at a time, with powerful ultrasonic pulse system to clean parts inside-out, including cavities and hard-to-reach blind holes, all with minimum effort from the operator. Washer also equipped with dual cartridge, surface skimming filtration system, overflow tank and 1,000-pound capacity lift table to facilitate handling of heavy parts.